The sp-form shortcode is built to help you interact with your SendPress subscribers easily. In this article we will guide you through setting up your first form, and go over the types of forms you can create. First, we have to create the form. 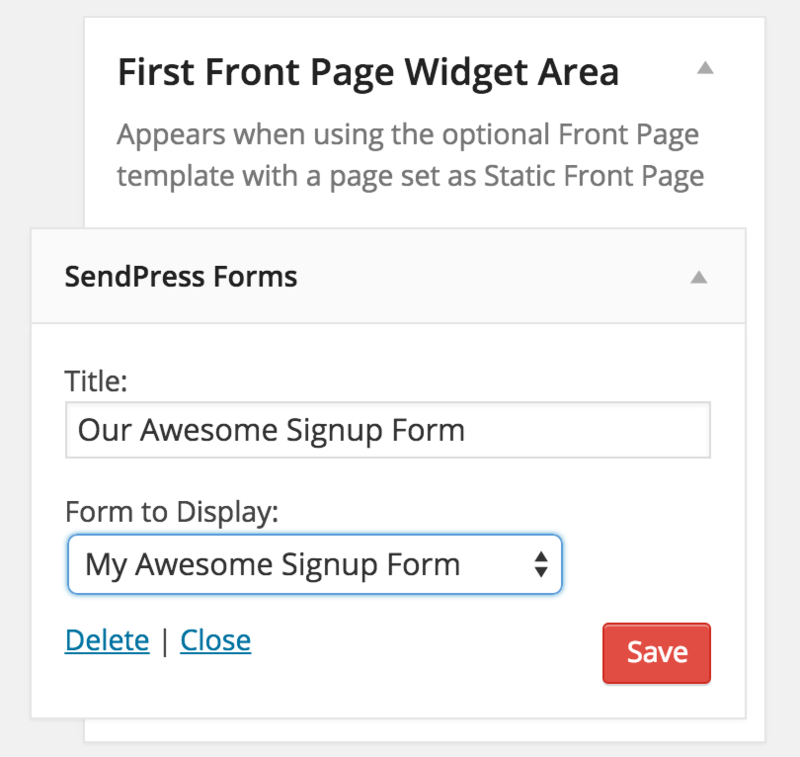 To do that we go to SendPress > Settings > Forms and click the Create Form button. Now we can give our new form a name and chose it's type, in this case a Signup form. Once all the fields are filled in click Save. Once all your settings are saved, it's time to use the shortcode. We can do this in two ways. We can copy the shortcode as seen in the above screenshot and place it on a page like any other shortcode, or we can use the SendPress Forms widget to display this form in a widget area as seen in the screenshot below. In the future we will be adding more forms and shortcodes to this area, in the meantime enjoy the Signup and Manage Subscription forms!